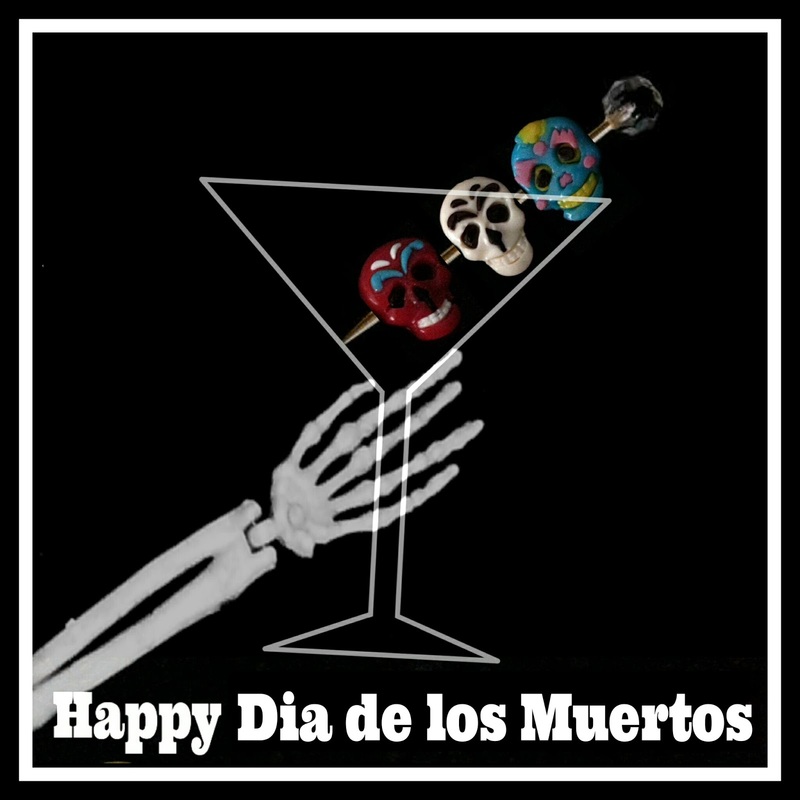 The MARTINI DIVA: IDEAL COCKTAILS for DAY OF THE DEAD, DIOS DE LOS MUERTOS! IDEAL COCKTAILS for DAY OF THE DEAD, DIOS DE LOS MUERTOS! October 31st is the official start of an annual three day, Mexican holiday Diá de los Muertos aka Day of the Dead. It's my favorite time of the year, first Halloween and Diá de los Muertos. 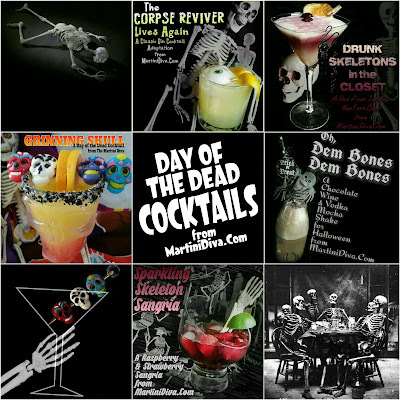 I have a thing for both holidays as knell as the skeletons, skulls and cocktails that go with them. In fact, I've done quite a few skeleton and skull themed drinks in my tenure as The Martini Diva. I just love a cocktail with good bones. Make no bones about it, these are the best cocktails for the Halloween, Day of the Dead Season. Pardon the bone puns. I'll stop now.